It's impressive to see how a place can be reclaimed by nature over a short period of time. If you've ever taken the time to explore an abandoned ruin then you know the rush you feel when you first arrive. It's almost like stepping into another world. I've always found abandoned places to be serene in some odd way, so I spend a lot of time looking up these places. 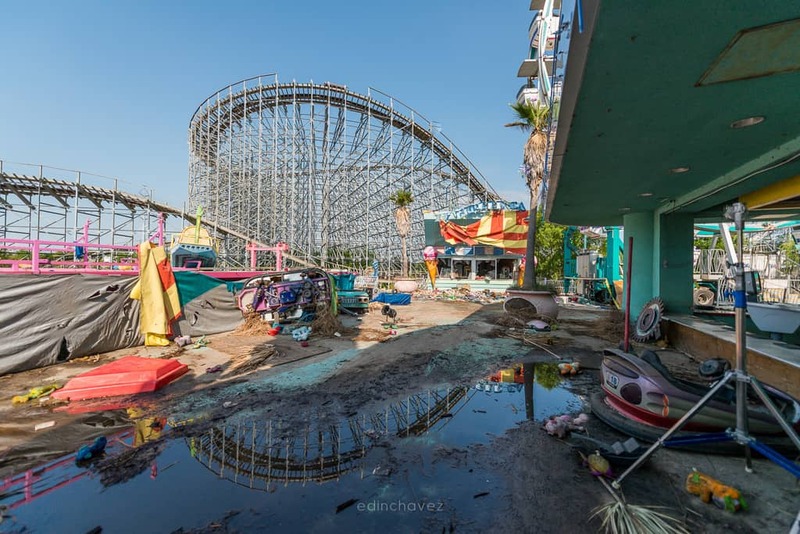 These are some of my favorite abandoned buildings in the U.S.A.
Hurricane Katrina caused a catastrophic amount of damage to both people, property, and the businesses in New Orleans. Six Flags was no different. The park has been closed to the public since the storms' destruction. 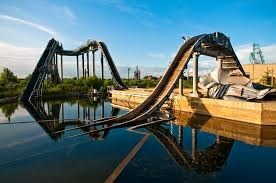 Massive roller coasters, water rides, and countless buildings are still scattered around the remains of the park. The water damage to the property is quite severe, which you can tell from the inside to the remaining structures. Costs to repair the park outweighed its worth, which has left it in disrepair to this day. Offers have been made to purchase the park, but they have all been declined by the current owners. 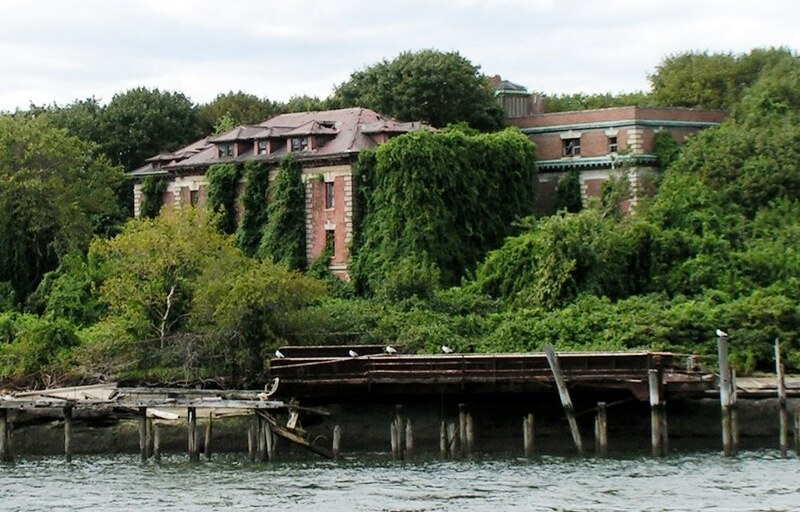 A 20-mile island sits decaying near The Bronx, and surprisingly it's not well known. The island was uninhabited until 1885 when Riverside Hospital moved there. It was a hospital that focused mostly on treating and isolating smallpox victims. It expanded over time and focused on treating other diseases, including Tuberculosis. Typhoid Mary was one of the patients at the hospital, staying until her death in 1938. After World War 2 the hospital was converted into veterans housing, and eventually a rehab facility. The rehab center was shut down when it was found that patients weren't getting any better and the staff was corrupt. It's been converted into a bird sanctuary and is currently off-limits to the public, but that doesn't stop adventurous urban explorers from finding their way to its shores. This location is widely considered to be Indiana's most haunted spot for various reasons. Central state opened its doors in 1848. They housed only 5 patients when they first opened, but that number quickly grew. Central state was the only mental asylum in the mid-west at the time, so patients from the surrounding states would be sent to them. This would quickly cause over-crowding in the facility. 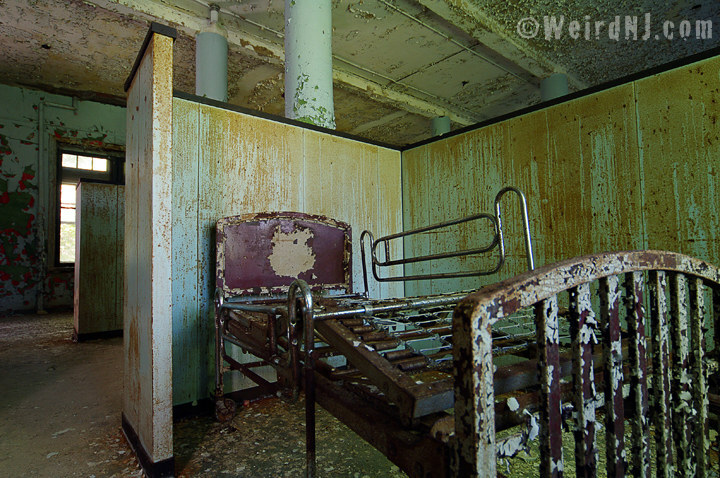 The lack of staff to care for the influx of patients made for wide-spread neglect. In 1905 other mental health facilities opened which helped relieve them of the over-crowding problem. The negligence of the patients was another story, however. At that time we didn't have a grasp on what mental illnesses actually were, so we developed heinous methods of fixing these individuals. Central state used Shock therapy, lobotomized people, and even tied unruly patients in the hospitals' tunnels by chains until they would calm down. Eventually, the rumors of central states patient abuse got out, and in 1994 the facility was officially shut down. The patients were sent home to family, or for the less fortunate soul the streets of Indianapolis. 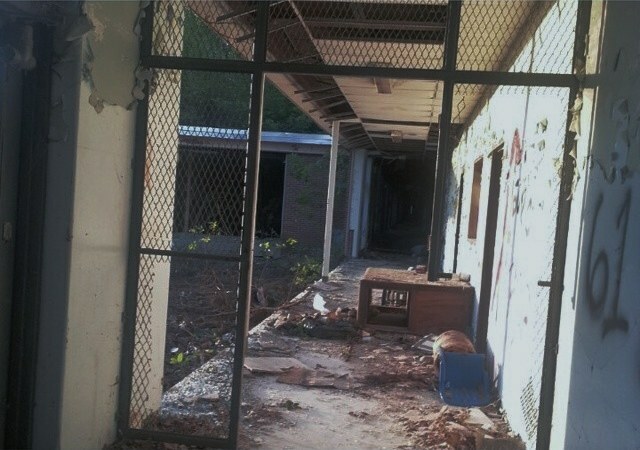 The buildings that held the patients have been torn down a few years ago, but that doesn't mean that it's all gone! The power-plant that ran the facility is still on the property for one main reason. It's connected to the pathology building, which now holds the Indiana Medical History Museum. The administration building is also still on the property, but it has been renovated into student housing for a nearby school.